Velassaru Maldives is a paradise where romantic dreams come true.ENJOY DAYS AND NIGHTS OF SIMPLE INDULGENCE at this breathtaking resort, offering luxurious beachfront and over-water accommodation with uninterrupted ocean views. Mauritius is luxury in the heart of the Indian Ocean. Le Mauricia Hotel is set in a lively location, a short walk along the beach to the centre of the bustling village of Grand Baie. An exotic island paradise blessed with palm fringed shores, turquoise waters, white sand beaches; untouched and pristine location of great beauty. And for that once in a lifetime experience, rent a private floating room at The Manta Resort and experience ultimate privacy as you glimpse famous Zanzibar sunsets. 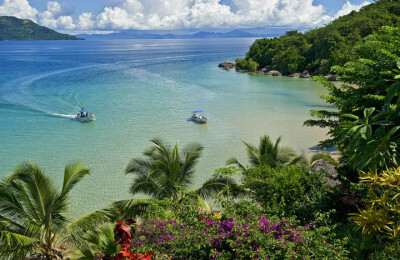 Feel the magnetism of Madagascar. With 1,800 miles of beautiful beaches, palm-fringed shoreline, numerous offshore islands and coral reefs – Madagascar is an incredible experience on this 8 Night Luxury Island hopping at lodges combining stylish, romantic and exclusive atmosphere. A fun 7 Nights of island hopping tour from Nosy Be to Nosy Komba and Lokobe Reserve, with activities including snorkeling, scuba-diving, wildlife tours and cruise trips to surrounding islands. Sri Lanka is a lush, tropical island paradise, famously described by Marco Polo as "undoubtedly the finest island of its size in the world". Sri Lanka offers miles of unspoilt palm-fringed beaches to UNESCO World Heritage Sites dating back thousands of years. Join us on a 8 Night Private Tour of this fascinating Indian Ocean island. Mauritius is luxury in the heart of the Indian Ocean. Explore Mauritius' exotic culture, marvel at city architecture, learn to scuba dive, sail, and snorkel or simply enjoy a relaxing holiday on the beach - all of this and more await you on your Mauritius holiday. Select from our 7-Night Packages at exquisite Resorts and experience this magical Indian Ocean destination. 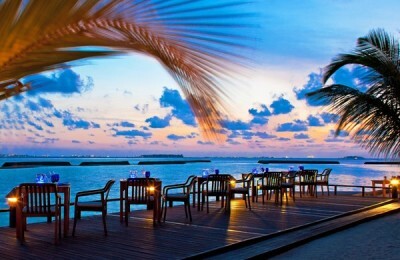 For many a Maldives beach holiday is one of life’s dreams come true. Select from an array of stunning hotel retreats scattered across over 200 coral islands. Fringed by sugar-sand beaches and unspoilt coral reefs these tropical atolls are simply gorgeous. Select from our 7-Night Packages at exquisite Resorts and experience this magical Indian Ocean destination. Kenya's World famous game reserves are home to abundant wildlife, while the Indian Ocean is lined with picture-postcard beaches, fine hotels and stunning coral reefs. Enjoy 7 Nights All Inclusive at Voyager Beach Resort and 2 Nights on Safari on Full Board at the unique Sarova Salt Lick Lodge in Taita Hills Game Santuary. Few places evoke such romance as the fabled spice islands of Zanzibar, Pemba and Mafia -sleepy islands with beautiful unspoilt beaches and lush tropical vegetation. Spend 4 Nights here before or after a safari or, better still, allocate a week or two and immerse yourself in the magic that is Zanzibar. Tanzania Selous Safari and Zanzibar offers some of the most spectacular safari and beach experiences. Based in luxury tented camps, this 9 Night exciting adventure captures the very essence of Africa.